The buzz at the LA Auto Show this month from Nissan was pretty much all focused on the Star Wars goodies in the booth and the presentation of the Nissan Sentra as a new member of the NISMO family. Two other models had news at the show, however, and it is too good to miss. 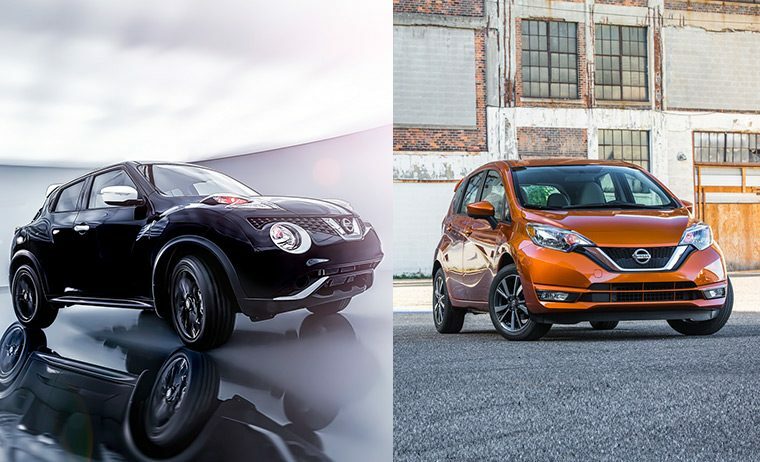 First, the 2017 Nissan Versa Note was revealed, and then the Nissan Juke gained a Black Pearl Edition. The 2017 Nissan Versa Note received a facelift from the 2016 model year. Its most noticeable upgrade is a redesigned front nose to make the vehicle look more like the other refreshed models in the Nissan family. Nissan was very careful when redesigning this model, as the Nissan Versa Note (along with the Nissan Note) is America’s bestselling nameplate in the entry level segment. The vehicle is now available in two new colors, Monarch Orange and Deep Blue Pearl. The interior has had a few changes that customers asked for, including a relocated 12-volt outlet and USB auxiliary port. When you read “Black Pearl,” some of you might have remembered Jack Sparrow’s ship in Disney’s Pirates of the Caribbean franchise. While Nissan and Disney are working together when it comes to Star Wars, this special Juke has no connection to the brand. The Nissan Juke SV is a specially-outfitted Juke SV, and is available in front-wheel and all-wheel drive. Only 1,250 cars will be built in this edition, and is a $1,190 MSRP package. The vehicle features black wheels and black cloth seating, with white highlights throughout the vehicle, making the whole look very dramatic without be overly dark. A special badge finishes the whole look off. To learn more about both vehicles, visit your local Nissan dealer.